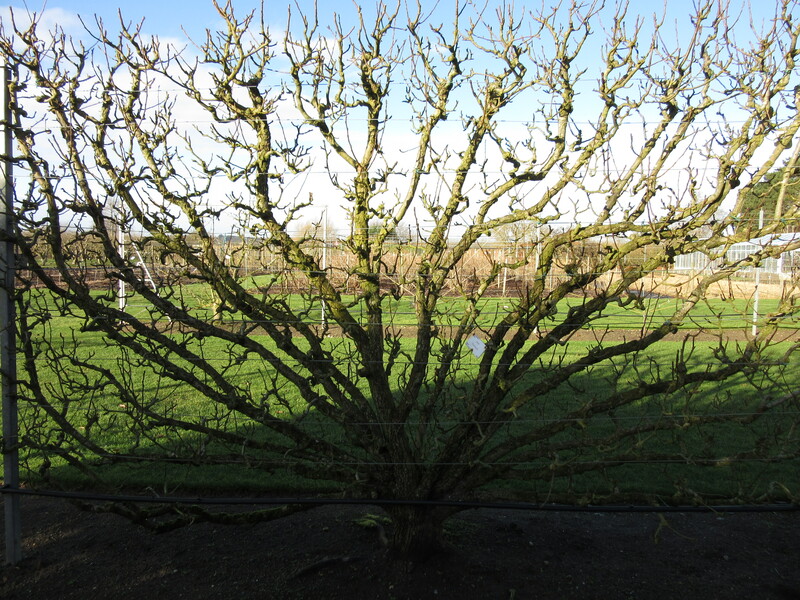 With a view to my workshop on fruit tree pruning next week at Petersham Nurseries, an opportunity to flesh out the subject with some photographs from RHS Wisley – their pruning regime won’t start until the New Year but will carry on right through to late March, almost up to bud-burst. 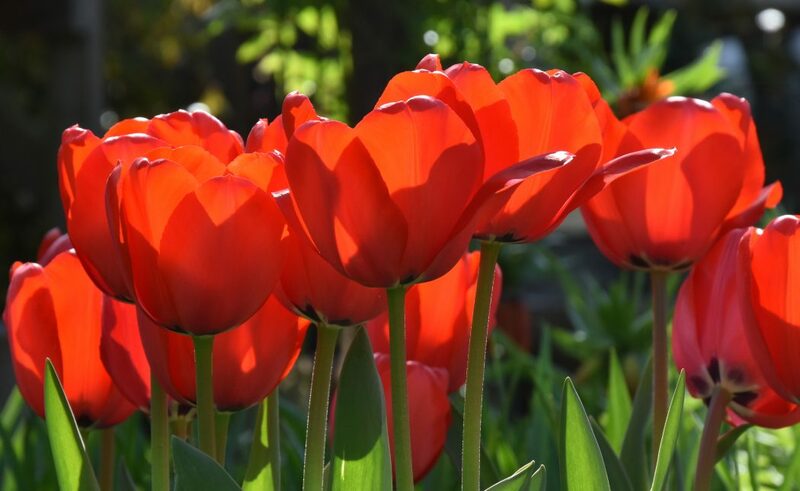 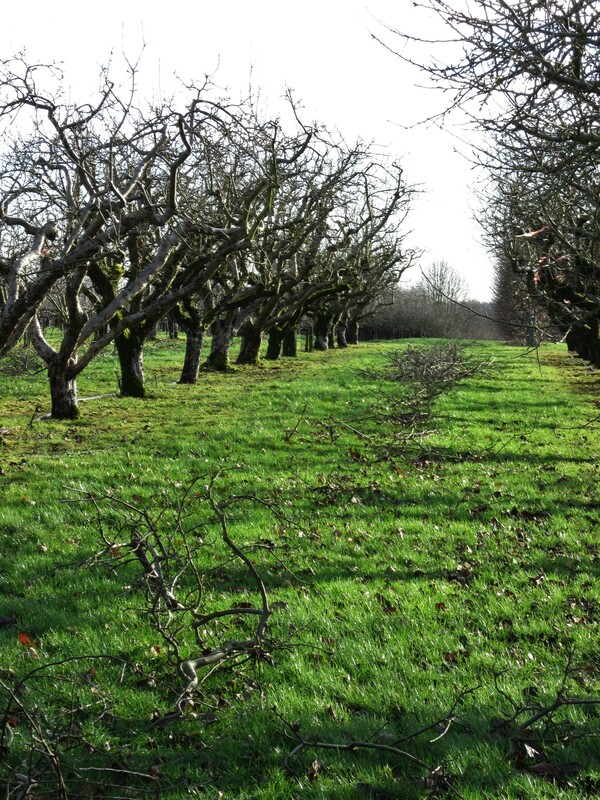 Some work can be done now, though with the exceedingly mild weather, leaves are still hugging the trees and this in itself will make the job more trickier, obscuring the architecture of your trees. 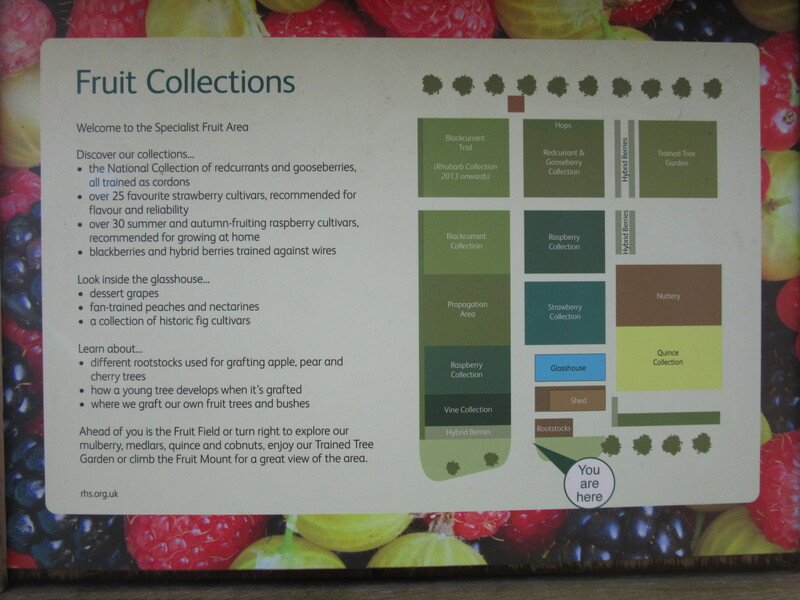 I’ll be looking at soft fruit too, those requiring some attention round abouts now, but I’ll post on this another time. 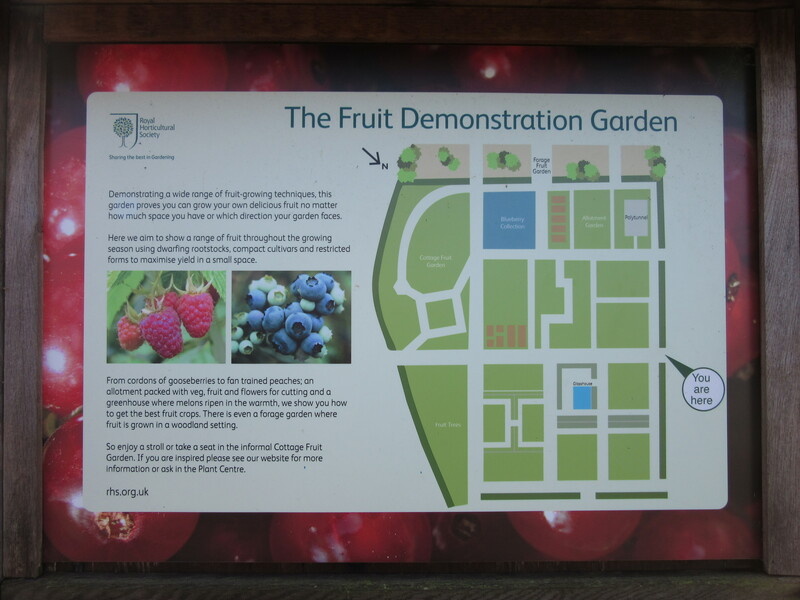 A tour earlier this week around the Fruit displays at RHS Wisley in Surrey – the Fruit Demonstration Garden and Fruit Collections showing a variety of trained forms especially of Apples and Pears, but also a whole range of stone fruit and soft fruit. 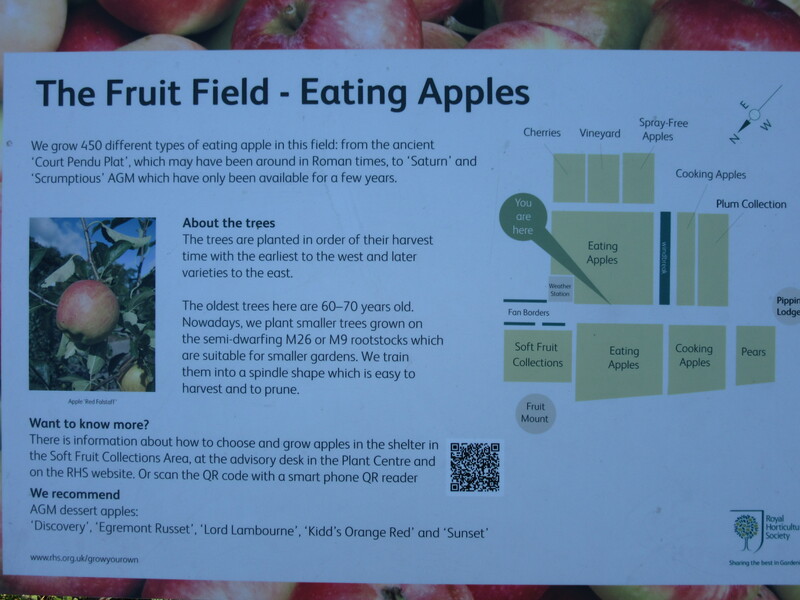 I moved on into the extensive Fruit Fields. 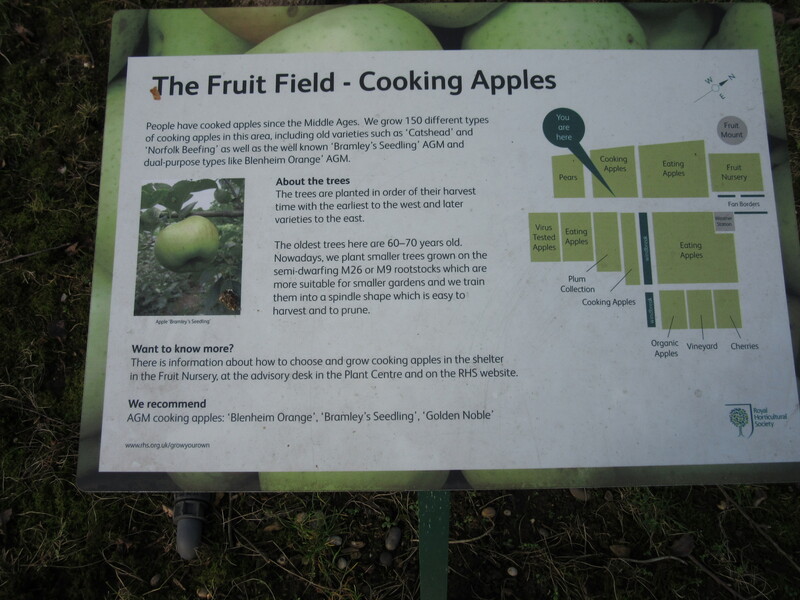 The Fruit Fields are large orchards with apples, pears, plums as well as grape vines, cherries there too, though it was mostly the apple and pears that were the thing this week – and the winter pruning regime that the RHS are in the midst of even now.